I’ve been on many retreats that focus on building community–with mealtimes filled with lively conversation, deliberate space created for sharing stories and laughter, and heart-to-heart talks that might last into the night. That’s very different from the kind of retreat envisioned by Ruth Haley Barton in her book, Invitation to Retreat: The Gift and Necessity of Time Away with God (InterVarsity Press, 2018). For her, retreat means entering into silence, withdrawing from noise and other distractions to find rest for our souls, encountering God and receiving whatever God has in store for us. For people who work for the church and for everyone, she says that this kind of retreat is both gift and necessity. I was so hungry for what Ruth Haley Barton has to say about retreat that I read her book in just a couple of days, and asked for permission to share the excerpt below with you. Don’t get me wrong–I love good conversations and community building as much as always. I understand engaging with others as both gift and necessity too. 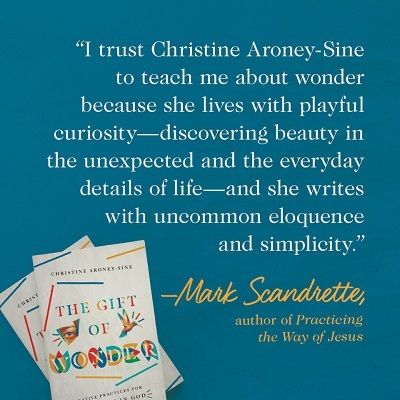 But in an age of many distractions and where I can just as easily be distracted by my own thoughts, I appreciate this book’s emphasis on God’s invitation to retreat. Is time apart necessary primarily for introverts who tire of constant interaction, or is it just as necessary for extroverts who may not have the same felt need to get away? I’m curious how you would answer these questions. Consider the following book excerpt and brief video by the author, and please feel free to respond in the comments below. In Old Testament times, there were certain geographical places where God was known to show up. Since retreat is an extended time in solitude in which we are present to God and God alone, there are places described in Scripture that could rightly be identified as retreat centers! One such place was Horeb, the mountain of God, which was also known as Mount Sinai. This was one of Israel’s most significant meeting places with God, and many good things happened there. This is where Moses met God routinely as a friend meets with a friend. It’s where he received the Ten Commandments, where the presence of God passed by at Moses’ request, and where he and God argued it out when they needed to. This is where Elijah had his famous, life-altering encounter with God as well. Because God had consistently shown up in this particular place throughout Israel’s history, it became a spiritual destination—a place God seekers returned to again and again when they needed an encounter with the living God. There were no guarantees (because none of us have God in our back pocket), but when someone was serious about finding God, Mount Horeb was a good bet. It was what we might today call a thin place—a place where heaven and earth seem very close and the veil between the two is very thin. So my question is, do you have such a place? I ask this question because I think it is possible for modern-day seekers to identify places like this. I am not talking about the local Starbucks, which most likely is busy and crowded, and where everyone is scrolling through text messages and pecking at their keyboards. I am talking about places like a retreat center, a hermitage, a cottage on a lake, a bench in a park, a cell in a monastery, or a corner of a chapel—a place where the very act of returning there helps us retreat and rest ourselves in God. It might be a community of people (like a monastic community or a praying community in a retreat setting) who gather in a particular way with particular rhythms of prayer and silence that support our spiritual seeking. The only criterion for retreat is that it be a place where you can enter into silence and are supported in the silence. For this reason alone, I do not suggest a hotel or a conference center, because such an environment leaves us open to noise, music, television and other technology, and chatty staff. Being silent when everyone around us is talking and all the technologies are available is just too hard; there is simply too much temptation. These days, especially, we need support for our silence—either from a community that is holding silence together or from a place that is designed for this. One of the most blessed phrases I have read on materials sent ahead of a retreat is, “The house will be in silence when you arrive.” The first time I read that statement, I thought, If I can just crawl my way to that silence, I will be okay. I have come to realize that silence is what makes a retreat a retreat. Whatever I have done to get away and put distance between myself and the battle line is only the beginning; it is entering into the silence that lets me know I have arrived someplace different. And staying in the silence creates space for God to do what only God knows needs to be done in my life. Once we have identified a place we can return to, we can make our travel there a kind of pilgrimage in which we set out on a risky adventure for the express purpose of being available to God and meeting God in whatever unpredictable situations we may encounter along the way. Of course, this means we might consider unplugging from technology so that even as we travel we are starting to settle down and settle in, moving more at God’s pace than the pace of our culture. This might seem radically countercultural today, but think about it—just a few short years ago, everyone traveled unplugged because being plugged in while traveling was impossible! Beyond physical destinations, the practice of retreat itself can become a place that helps us center ourselves in the presence of God and open ourselves to that presence. We might simply refer to this as a space in time that has been set aside for the sacred purpose of being present to God and God alone, a space in which we offer the great Lover of our souls our full and undivided attention. We can even retreat in place by closing our front door, shutting down our electronic devices for a period of time, and letting people know we are unavailable. The practice of retreat means we are fashioning a wilderness within that is always available and we can always return to. “To live a spiritual life we must first find the courage to enter into the desert of our loneliness and to change it by gentle and persistent efforts into a garden of solitude.” And there we find our retreat. However we do it, we are establishing rhythms that give us a concrete way of returning to God with all our heart, soul, mind, and strength. I no longer see retreat as a self-indulgent luxury or as a rhythm that can wait for times when I am less busy. I see it as essential for long-term sustainability and life-sustaining connection with the One who enlivens my soul and empowers my service. *Taken from Invitation to Retreat by Ruth Haley Barton. Copyright (c) 2018 by Ruth Haley Barton. 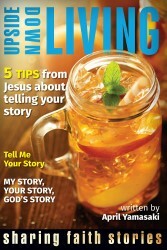 Published by InterVarsity Press, Downers Grove, IL. 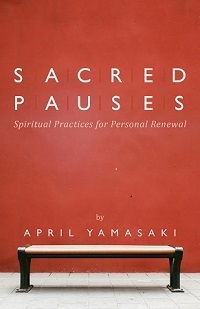 www.ivpress.com. 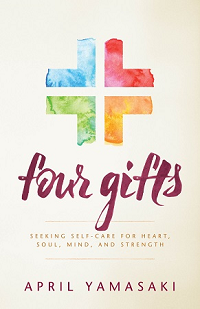 An Invitation to Retreat with Ruth Haley Barton from InterVarsity Press on Vimeo. Previous article	← How Do You Introduce Change? April. Great questions. I was a part of a Transforming Community experience for leaders that Ruth leads through the ministry of the Transforming Center. This might make me biased, but it also means I have experience in practicing the rhythm of retreat. For over two years I went on a two-day retreat each quarter. It was the most profound spiritual experiences of my life and still shapes me many years later. I go on a retreat once a year, and have found that God always meets me in ways that surprise me. An extended time away creates enough space for me to settle down and give God my undivided attention. As far as the introvert versus extrovert question. I think that is a misunderstanding of retreat. It is more about my relationship with God than about getting away from others. For, as Ruth shares, retreat is a generous investment in my relationship with God. For sure there are unique invitations for both the extrovert and introvert, but retreat is for everyone. Thanks for your response, Jeffrey – I’m glad to hear from someone who has been part of Ruth’s ministry. And I appreciate the emphasis on retreat as “a generous investment” in our relationship with God which is definitely evident in the book as well. The appendix on Planning Your Retreat gives a good overview with some flexible options which helps me think through this too.